888 casino is an old hand in the gambling industry that is still considered one of the best around. The first thing that strikes you is the stunning landing page, complete with high quality graphics and amazing animations. A superb selection of games is just the thing to keep you here, and exciting promotions make your visit memorable. The casino is accessible from computers, smartphones and tablets. 888 casino has been around since 1997, with more than 25 million members making use of the gaming it offers. It has been listed on the London Stock Exchange since 2005 and is a multi-award winning casino of the highest quality. 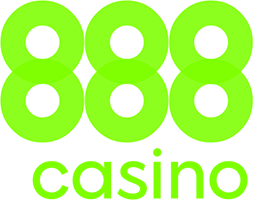 888 casino is operated by Cassava Enterprises (Gibraltar) Limited, which is a wholly owned subsidiary of the parent company, 888 Holdings Plc. It is licensed by the Government of Gibraltar and regulated by the Gibraltar Gambling Commissioner. In the UK, this casino is licensed by the United Kingdom Gambling Commission (UKGC). You can claim this bonus using the coupon code fun888. All you have to do is wager any amount to enter the prize draw. You can claim this bonus using the coupon code JPMon. The bonus is available every Monday and comes with a 3x wagering requirement. Table Tuesday: – Get a match bonus of 30% up to $150 at any of the top casino tables every Tuesday with this promotion: European Roulette, Multihand Blackjack or Casino Reels. You can claim this bonus with the coupon code TableTues. The bonus comes with a 5x wagering requirement. Winning Wednesday: – This is a cashback promotion that gives you 20% up to $20 cashback every Wednesday. You can claim this bonus with the coupon code WinWed. Traveller Thursday: – This promotion gives you a 20% match bonus up to $200 to play Café de Paris or Viva L’Italia. The coupon code to claim this bonus is TravelThurs. The bonus has a 3x wagering requirement. $8 FreePlay on a deposit of $20 to $49. $25 FreePlay on a deposit of $50 to $119. $60 FreePlay on a deposit of $120 and above. You can claim this bonus with the coupon code FreakyFri. The bonus has a 3x wagering requirement. Saturday Night Live: – This promotion gives you a bonus of up to $100 – 20% up to $100 – every Saturday that you can use to play live dealer games. The coupon code to claim this bonus is SNL20. The wagering requirement for this bonus is 3x. 21st of the Month Bonus – This promotion gives you a chance to win 20% up to $300 FreePlay while playing Multihand Blackjack. All you have to do is make a deposit on the 21st of every month and claim the bonus using the coupon code Blackjack20. The bonus comes with a 10x wagering requirement. Click the SIGN UP button at the top right of the casino. On the form that appears, provide your basic details, like name, e-mail id, date of birth and country. Check the box against the disclaimer for age and click the Next button. On the next screen, enter a username and password for your account. Also provide a security question and its answer. Then click the Next button. On the last screen, provide some more details, including your residential address, postal code, phone number and the currency you want to be paid in. Then, click the Register button. Your account is now open and you are transferred to the Cashier to make your first deposit. Open a real money account first. The steps for doing this are listed out in the previous section. Visit the cashier section by clicking the Cashier button. Enter the coupon code in the field provided for the same. The corresponding bonus is credited into the casino account. 888 casino uses proprietary software from the 888 Gaming Platform – along with others to provide users with an excellent gaming experience. Slots form the majority of the games at this casino. Some of the other games here include casino games, live casino games, jackpots and more. This casino has a good selection of jackpots to choose from. There are the big ones running into 7 digits, and there are the smaller but equally exciting ones too. 888 mobile casino comes with a brilliant interface. Navigation is smooth and seamless and you can play hear from your smartphone or tablet. You don’t have to download a casino app as the mobile casino is available currently in instant play mode only. To load the casino, just type in the URL in the browser of your mobile casino. If you already have an account with the desktop casino you can use the account credentials from that account to sign up with the mobile casino. Once you are logged in ensure that the account is adequately funded and start playing. If you don’t have an account yet you can open one directly at the mobile casino. The mobile casino is compatible with the Android and iOS platforms. All the games at the desktop casino are available here as well, as are the promotions. Payment support is smooth, and you are guaranteed excellent customer support too. 888 Casino offers complete security for all your transactions and personal data. The casino uses 128-bit SSL encryption technology to protect your money from being maliciously accessed by hackers. All the games at the casino are conducted fairly. The casino is certified by eCOGRA for fair play. 888 Casino supports a number of popular payment methods to enable players to make their deposits into their casino accounts quickly. Deposits are usually instant at this casino. Withdrawals take slightly longer than deposits to reach a player’s bank account. You can contact a member of the casino’s customer support team for any help you may need with your 888 experience. For general online casino-related queries you can browse through the FAQ section of the casino. You can also contact a member of the support team through live chat or by filling up the e-mail form on the Contact Us page.